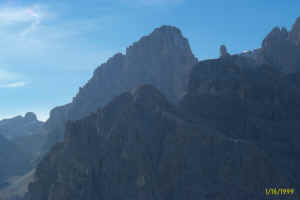 The Pedrotti Refuge stands on a rocky crag just a few metres from the Bocca di Brenta pass. 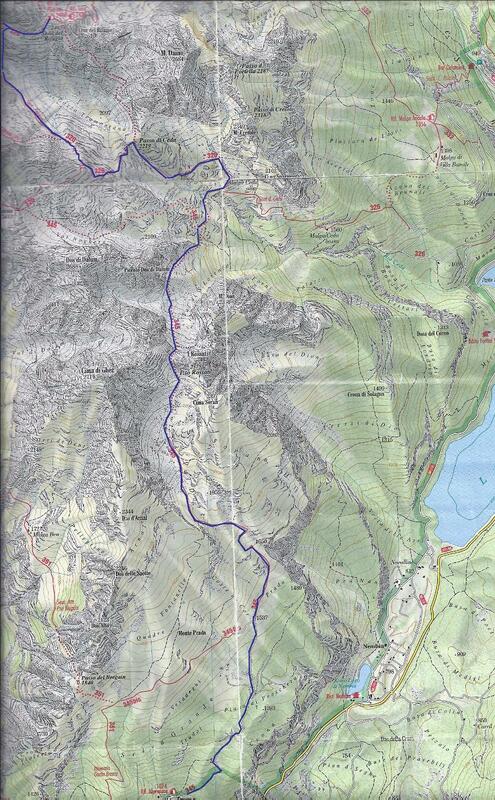 It is an excellent starting point for all climbs towards the central peaks in the group. All walks in the Brenta Dolomites from south-east to north-west pass through this point. Description. classic access route to the refuge which climbs up from the Seghe Valley and the Massodi Valley via the Croz Altissimo (avoidable if you follow path 319) and Selvata refuges. Access routes:from Altopiano di Pradel along path 340. Description : from the top station of the Molveno-Pradel cable car, take itinerary 340, by far the most popular access route to the Brenta refuges from the southern side. Description : much less commonly used itinerary than the previous one, in unspoilt scenery and without refuges along the way. Description : An alternative itinerary to the Seghe Valley route in the first stretch and includes a short part with fixed rope supports between the Malga Andalo and Selvata refuges. Access routes: from San Lorenzo, Rifugio Alpenrose, along Larì Prada Val Dorè and i Rossati. 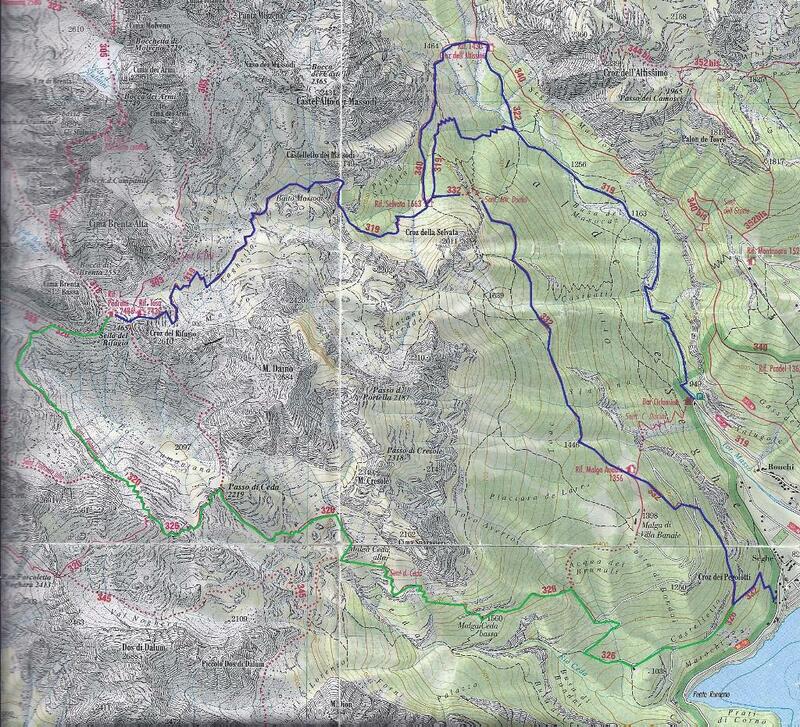 Description: unusual, long and tiring route, only recommended for those hikers interested in the less popular routes. 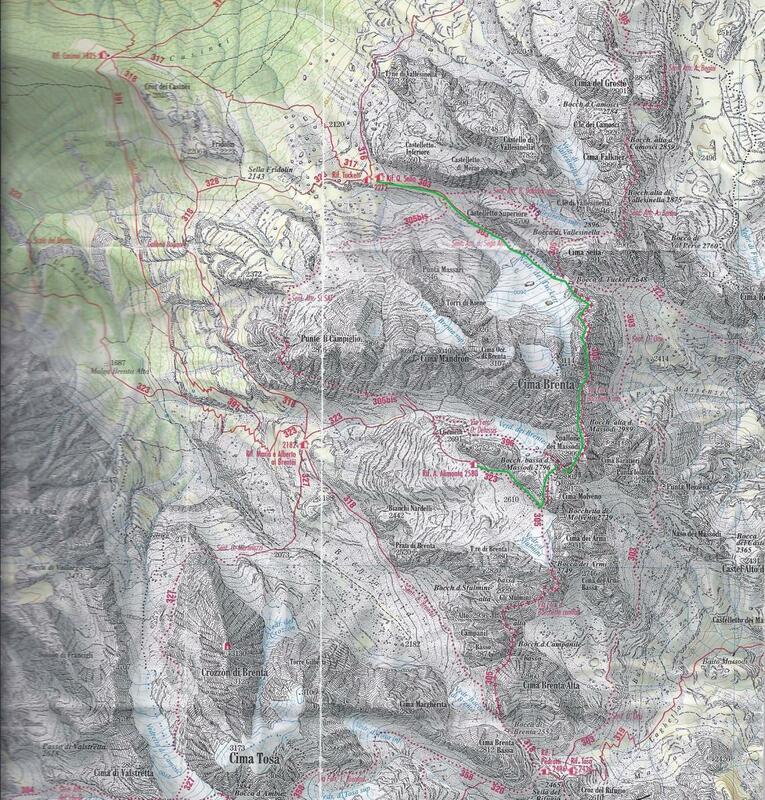 Access routes: from S.Antonio di Mavignola alont the Brenta Valley, on path 323 and 318. Description: one of the access routes to the Brentei Refuge and, carrying on along the Brenta Valley, to the Pedrotti Refuge. Rifugio Casinei, sent 318 1825 1,00 1,00 at the Casinei Refuge take path 318.